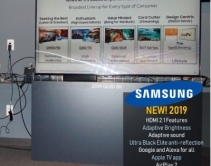 By Robert Archer · January 10, 2019 • At CES 2019, Samsung announced it is strengthening its presence in several growing technologies in the hopes of making Connected Living a reality. 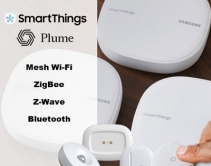 By Julie Jacobson · September 24, 2018 • Upgrade SmartThings DIY customers to Crestron pro home automation ... or add ZigBee and Z-Wave to existing Crestron smart-home systems with free, updated integration code on github. 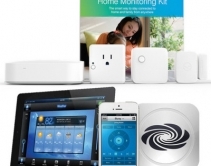 By Rodney Bosch · November 7, 2017 • Here's the reality of DIY security and home automation, with some research and musings by Rodney Bosch of CE Pro's sister publication Security Sales & Integration. By Julie Jacobson · October 26, 2017 • 4K media streamer Nvidia Shield becomes ZigBee and Z-Wave home automation hub with $40 SmartThings Link. Voice control via Google Assistant. 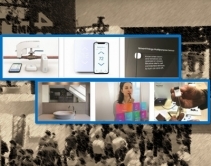 By Chelsea Cafiero · April 5, 2017 • A former Microsoft intern got his Yale classmates to apply for jobs at Hub, a fake startup with well-produced marketing video for a smart-home device. By Lisa Montgomery · February 15, 2017 • Avid DIY-er enlists 'Do It For Me' website HelloTech.com to help renovate her 1930s media room with Sonos, Amazon Echo, Lutron and Samsung SmartThings.